Answering telephone calls for Doctors and Medical Practices is a big part of what Power Paging Inc. does every day. The requirements for each doctor’s office is different and our telephone answering specialists take time to get to know each doctor’s needs for answering calls and taking messages. Our telephone answering specialists have each undergone months of training to make sure that our medical call center services comply fully with HIPAA. If you require telephone answering for your medical practice, make sure that you choose a company that offers fully compliant HIPAA phone answering services. If you are a solo practitioner your time is extremely valuable and you don’t want to be spending your time answering incoming telephone calls from patients, pharmacists and other doctors. Our telephone answering specialists will customize a live answering plan to suit your hours and exact needs. Medical offices with multiple doctors can have a difficult task handling the volume of incoming calls. You want to make sure that the patients are handled efficiently with maximum courtesy when they call in for an appointment or follow-up. 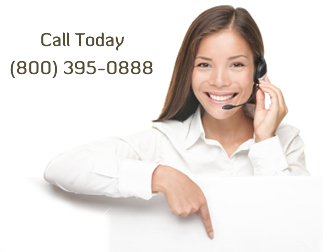 Our HIPAA trained telephone answering specialists can set up an individualized call center program just for you. You’re a specialist with your own phone answering needs. Our telephone answering specialists can provide individualized call center services for your practice whether you are a solo practitioner or part of a larger medical group.